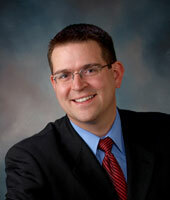 Matthew J. Schweighart, Associate | Attorney Champaign, IL | Erwin, Martinkus, and Cole Ltd. - Erwin, Martinkus, & Cole, LTD. Practice Areas: Business & Corporate, Estate Planning, Trusts, Probate, Residential Real Estate, Commercial Real Estate, Intellectual Property, Mergers & Acquisitions. Matt Schweighart utilizes his background in business and his knowledge of the law to serve business and individual clients in a wide range of transactions. For his business clients, Matt’s primary goal is to provide straightforward and cost-effective legal advice so that business owners can understand and address complex legal issues quickly and efficiently. By trusting Matt to handle their legal issues, his clients are able to focus their energy where it should be — on running their business and serving their customers. Matt takes the same approach in representing individual clients, striving to provide clear advice at a reasonable cost. He regularly works with individuals and families to develop their estate plans, including wills, trusts, powers of attorney and living wills. He also represents clients in the purchase and sale of residential and commercial real estate, from contract negotiation through closing to leasing and management. Matt graduated from Saint Louis University School of Law where he was an editor of the Saint Louis University Law Journal, served as a faculty research fellow and earned a Certificate in Health Law Studies from the nation’s top-ranked health law program. Prior to law school, Matt earned a bachelor’s degree in Finance from the University of Illinois at Urbana-Champaign, along with a minor in Spanish, and was a member of the Campus Honors Program, a James Newton Matthews Scholar and an Edmund James Scholar.